When you are searching for a pop up tent you want something that is fast to set up, basically instantaneous. 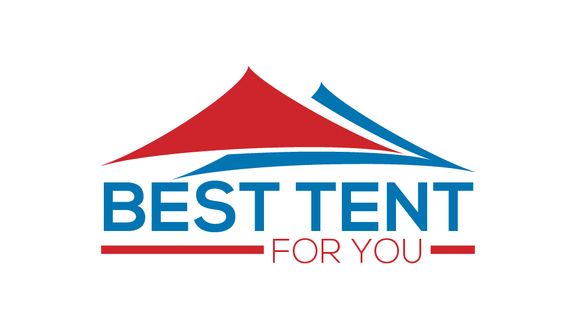 Of course there are a lot of other factors that you should consider including build quality and materials used, waterproofing and take down take is very important with these tents as well. 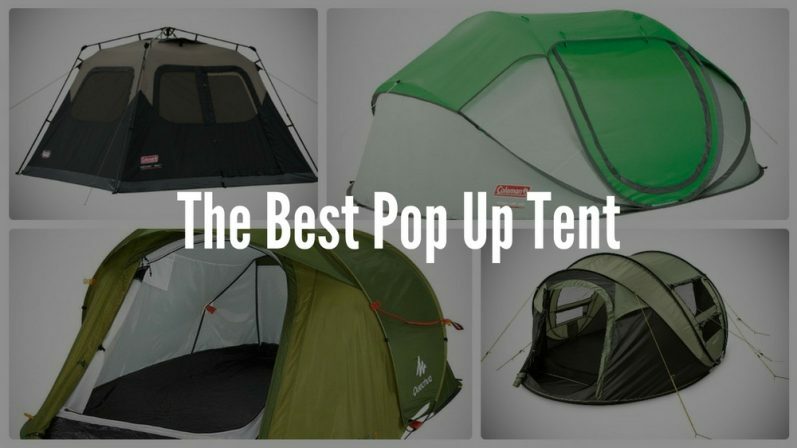 Now let me show you some of my favorite options to help you decide the pop up tent for you! Of course the set up on this tent is super-fast, it literally pops up and you are done, only a few seconds. The more impressive part is you can easily put it back into the carrying bag in about 10 seconds which is even more impressive. Some pop up tens while having a fast set up can be a nuisance to repack them but that is totally not the case with this Coleman tent. 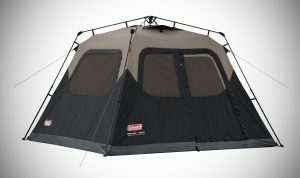 This tent comes in 2 sizes, a 2-person size and a 4-person size, I am 6ft and my friend is 6ft 1 and we were both able to sleep comfortably in the 2-person variant tent without feeling cramped and being uncomfortable. I would say if you are much taller I would recommend going for the 4-person variant. It will offer you additional room and space for a small price difference. The rain fly on this tent can be detached, doing so will greatly improve the ventilation which is much needed on those hotter days. There are pockets on the inside of the tent with can be used for storage, I personally used them for keeping my wallet and keys which was convenient. One final thing to mention about this tent is the waterproofing is great, I experienced some moderate rain for a few days in this tent and it did a great job, I saw zero moisture or any sign of a drop of water inside which was nice. 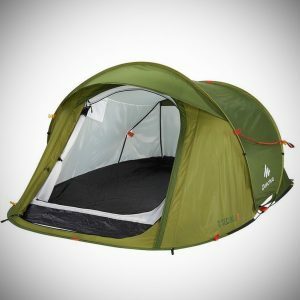 This tent is a great all round tent though I would recommend going for the 4-person variant if you are camping with 2-3 people, the small price difference is definitely worth it, it’s of of the best cheap pop up tents. 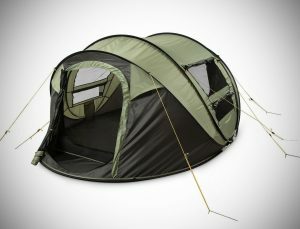 With some pop up tents, you find that they can be surprising heavy due to having the structure that is built to pop up on its own, though this 4 man pop up tent is very lightweight and would be an ideal choice for someone who wants a lightweight tent for hiking or an option that is more portable and easy to carry around with them. As with most pop up tents, boom and its up, there is no exception with this tent, it has a super-fast set up. This thing that most stands out when comparing this pop up tent to the other options is its sheer quality of build and the materials they have used. The seams are very durable and the zipper is well made (often a problem on some tents). This tent does fine in the rain but I must tell you that it is not a good option if you are going to experience heavy rain on your adventure – therefore this tent is best suited somewhere that has a drier climate. This tent has mesh windows on both sides that are great for improving ventilation and can easily be covered with the provided flaps. 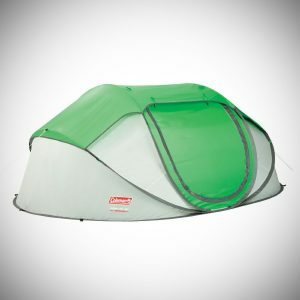 This tent also has pockets on the inside for storage and a hoop top middle which would be ideal to hang a lantern from. If you are camping somewhere that it doesn’t rain heavily I would highly recommend this tent. 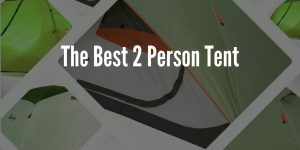 While this Coleman tent is not a pop up tent it can be set up in under 1 minute, it took me about 3 minutes to do it, so it’s almost as fast as any pop up tent which is brilliant and why I decided to include it in this list for your consideration. This Coleman instant tent isn’t just one of the best fast set up tents I have ever used but it’s one of my favorite tents I have ever used period, let me explain why. This tent is massive inside, it’s very spacious and roomy and it can fit 2 queen size air mattresses inside to give you an idea of its spaciousness. Its central height is 6ft 2 inches – you can walk around without having to hunch over which really is much appreciated. This tent by default doesn’t come with a rainfly but you can pay a little extra for it if you want. That’s the only small downside is that the rainfly isn’t included on the base model, though it is definitely worth getting it with the rainfly. On that note the waterproofing is superb and that’s why it’s one of the highest rated tents out there, because it’s so consistent and reliable, it’s going to last you for years to come due to its great build quality. If you don’t have the rainfly applied it offers brilliant ventilation, actually you will struggle to find better out there. The windows can all be opened if you want, this really makes you feel at peace with nature which I love. 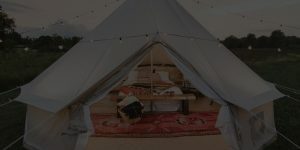 This is my pick for the number 1 pop up tent even though is not actually a pop up tent is has everything you would want from one and even more! I like this tent mainly due to its simplicity, it’s an easy pop up tent. Its set up its instantaneous and repacking the tent after use is a breeze. This tent can technically hold up to 4 people but that would be a tight fit in my opinion. I would recommend it only if you are a group or 2 or 3 people, in that case it would be the ideal size for you. 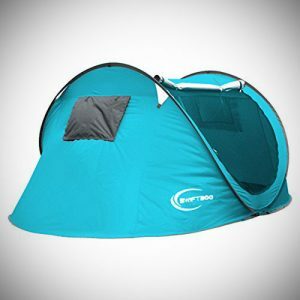 I love the design of this tent, the blue color, along with the shape which actually really helps provide a tremendous amount of room inside. A carrying bag is included along with it, its definitely a suitable candidate for someone who is constantly on the go like a hiker or backpacker. If you are looking for tent for 2-3 people and want an option that is lightweight this is probably the best choice for your needs. Some 2 person tents can often be cramped for the 2 people that stay inside, though this is quite the contrary with this tent. It can comfortably hold 2 people along with some gear inside, I was very impressed by that. Set up is very fast, basically you unclip the clips and the tent pops up, it will only take you a matter of seconds to do. This tent is not the simplest to take down, I took me about 5 minutes to do on my 1st try but I only got faster after I knew how to do it. Basically I would recommend taking it down a couple of times to make yourself familiar with it in your home or backyard before going on your first trip with it. In terms of overall structure this definitely was one of my favorites. It is very structurally sound and would be a great option if you are setting up camp in a more exposed area. If you are a hiker I would check this tent out, its light and portable to carry, is very strong and sturdy, has an insanely fast set up time and waterproofing is very consistent. 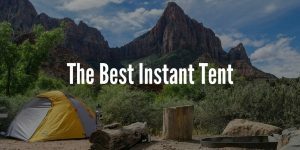 Instant tents have a lot of the same qualities as pop up tents therefore I would recommend checking out this article – The Best Instant Tents, to see if they are the better option for you.